In order to meet the needs of their users, the platforms of the TRI-Genotoul network develop their own tools. 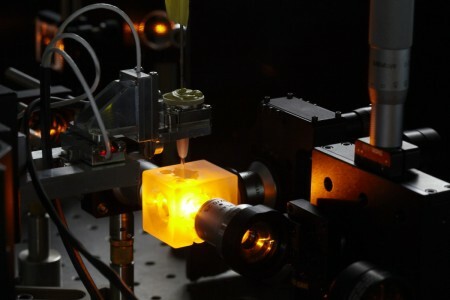 Streak-FLIM (Fluorescence Lifetime Imaging Microscopy) is a unique technique developed by the FRAIB imaging core facility, which allows observing fluorescence in a time-resolved manner. This resource therefore makes it possible to reveal protein-protein or protein-DNA interactions, or changes in spatial conformation. The measurements carried out are independent of the concentration of the molecule and its fluorescence intensity, but vary as a function of its environment. It can also be used this to reveal changes in pH, refractive index, etc. One of the challenges in biological imaging is to visualize biological structures and living organisms three-dimensionally, and in depth. 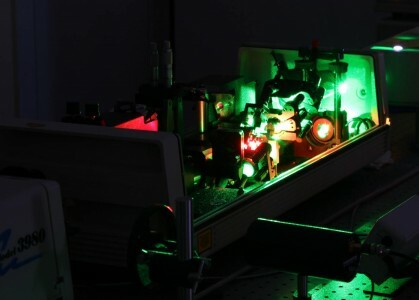 In partnership with other laboratories in Toulouse, the imaging platform ITAV has developed an innovative tool: the SPIM (Selective Plane Illumination Microscope) or light sheet microscope. This tool allows a rapid optical sectioning in 3D and in depth of a living sample, while providing opportunities for multi-view acquisition. Furthermore, in contrast to the other 3D imaging tools available on the market, the image reconstructions by SPIM are free of all optical distortions. Acting on the same principle and with the same characteristics, the macro-SPIM is used for acquisitions of large samples that have been made transparent. Electron tomography allows the recreation of spatial volumes at the nanoscale using a transmission electron microscope (T.E.M.). Just like a medical scanner, shots of the same object are taken from different angles. An imaging software program can then be used to reconstruct the volume of the sample and visualize it in 3D. This technique has been mastered and improved by the METi platform. Observing a sample by electron microscopy requires that it is prepared in advance, in order to withstand the vacuum of the observation chamber and the electron beam’s radiation. These preparative steps, which involve chemical treatments and dehydration, can alter the structure of samples. In cryomicroscopy, the sample is frozen in an ultra-rapid manner so that the water molecules contained therein are transformed into amorphous (non-crystalline) ice. 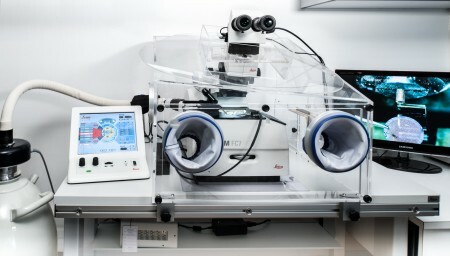 Frozen sections can be obtained for larger objects (such as cells or tissues) using the CEMOVIS technique. 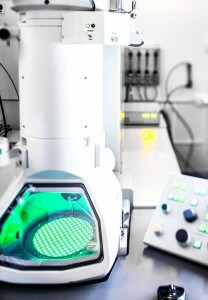 The sample is then directly observed by electron microscopy at low temperature without any further treatment. Cryo-electron microscopy thus offers the unique opportunity to observe samples at a very high resolution in a hydrated state that is very close to their natural state. The METi platform develops these techniques in various fields ranging from nanotechnologies, with the study of macromolecules and nanoparticles, to cosmetics, where they are used to observe liposomes. 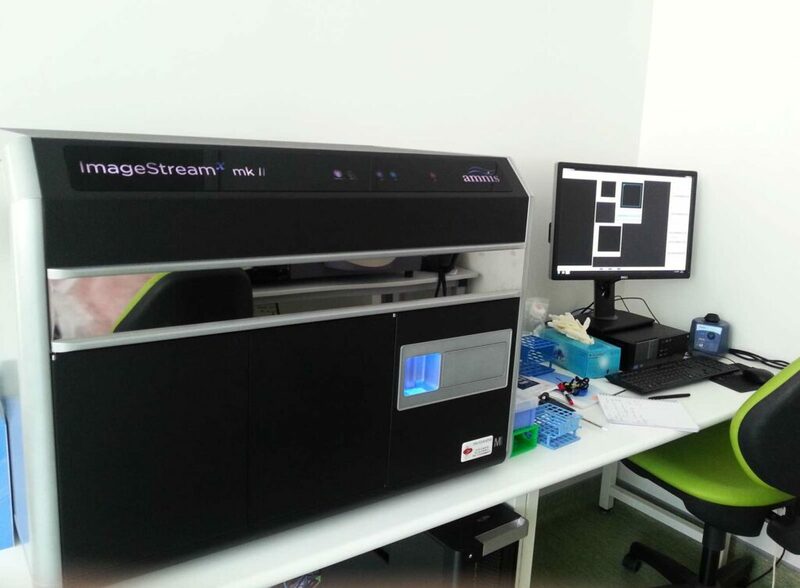 ImageStreamX is an interdisciplinary tool situated between cytometry and imaging. It combines the advantages of these 2 technologies and can thus apply the power of statistical data from cytometry to a large number of cellular morphological parameters. 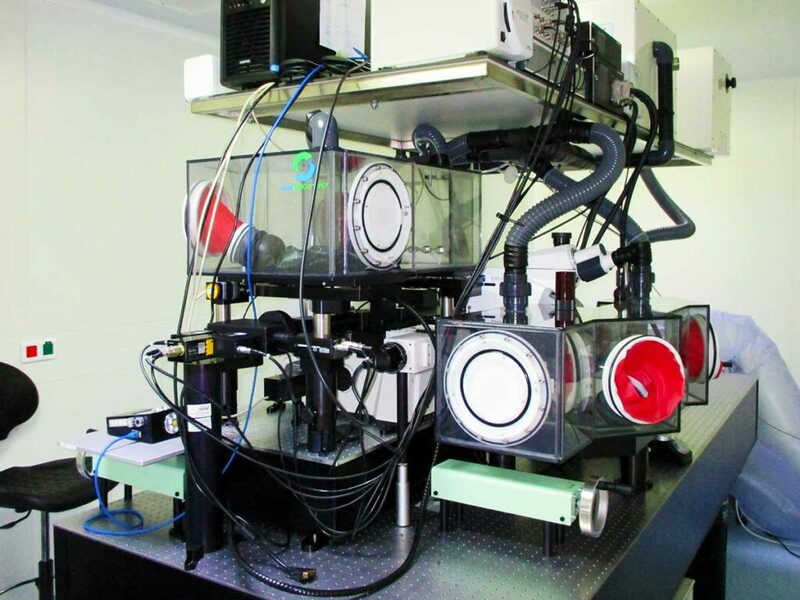 This system generates images of cells in flux through magnifications ranging from 20x to 60x. It can be used for multiple applications (i.e. spot counting, nuclear translocation, internalization, etc.) in various fields including immunology, cancerology, parasitology and microbiology.